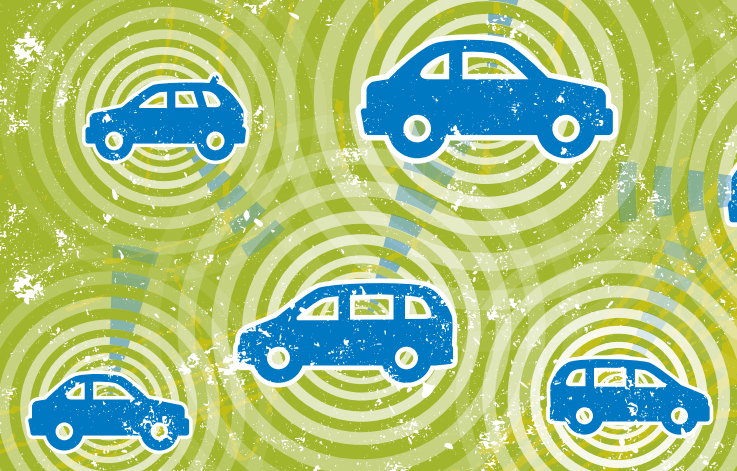 The term “connected car”* is one of the most intensely debated buzzwords these days. There is no doubt that it will shape the future of the automotive industry, but how? Are consumers going to pay for it (and what is “it” anyway)? How will it impact the underlying revenue and profit pools? In addition, what will determine who will benefit from changes in automotive profit pools? These are the questions we often hear from clients in the automotive, telecoms, technology, and insurance industries, among others, who are impacted by the connected car. We intend to address these questions in this report. We have conducted significant primary market research with 2,000 car buyers across four geographies and have built a proprietary feature-level market model to separate fact from fiction and create a quantified understanding of value chain dynamics. There are manifold definitions that are used when referring to the connected car. In this report, we include all use cases for passenger cars that build on processed information between vehicles and their environments. These use cases can be clustered along four relevant functional groups with particular relevance to passenger cars – each with its own value proposition, set of affected players, and projected evolution: in-car content and services, vehicle relationship management (VRM), insurance, and driving assistance. In regard to a timeframe, the report focuses on the upcoming years until 2020. Therefore, it includes several significant innovations but excludes the next potential revolution, which is likely to result from a massive rollout of (semi)autonomous vehicles. 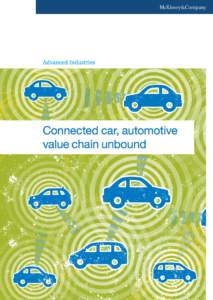 As connectivity becomes an integral part of an automobile’s value, companies from industries that may have seemed unrelated to the automotive industry just a few years ago will likely become key players. As a consequence, original equipment manufacturers (OEMs) and other traditional players may see shifts to their pieces of a pie that is getting more complex but not necessarily significantly bigger.